If you’re concerned or feeling guilty about hiring someone to help care for your older adult, you’re not alone. Even if you wish you could be there for them 24/7, it’s not realistic. To keep going as a long-term caregiver, you need regular breaks and time for yourself. That’s why getting help with caregiving is so important. But when you’ve hired an in home caregiver to help you care for your older adult, you might worry about what happens when you’re not around. Previously, we covered simple ways to keep an eye on your hired caregiver. When you know that your older adult’s needs are being met and they’re treated kindly, it puts your mind at ease. That allows you to relax and enjoy your well-deserved time away from caregiving. 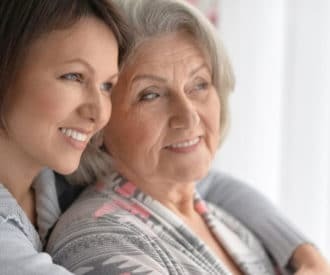 Here, we share 3 tips that help you feel even more confident that your older adult is getting good care. They’ll help you spot red flags so you can proactively prevent serious problems. 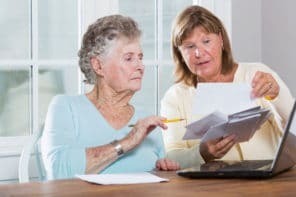 Even if the initial background check on your in home caregiver didn’t show any problems, it’s a good idea to repeat the process every 6 to 12 months. This keeps you aware of any changes. Check their name against national databases, local court records, and state elder abuse registries (if available). Verify their Social Security number to see if they’ve used any other names. If they drive your older adult around, check their driving record too. If you hired through an agency, find out how often the agency refreshes background checks and which databases they check against to make sure their checks are comprehensive. If the caregiver isn’t doing a good job, there will probably be some warning signs. If you notice anything that makes you feel uneasy, trust your gut. Check into the situation to find out more and keep track of repeat occurrences. Sure, accidents do happen once in a while, but frequent accidents point to a problem. The caregiver ignores your instructions and does things when and how they choose. You can’t reach the caregiver when they’re with your older adult. The caregiver is obviously focused on their phone, TV, or computer. Your older adult’s personal hygiene is being neglected. Your older adult shows unexplainable signs of physical or mental trauma, like bruising, sudden change of behavior (fear, agitation), etc. The caregiver doesn’t seem to care about household safety. You see multiple negative reviews of the caregiver on reputable websites. Monitoring with video cameras is often used to discourage abuse. The point isn’t to catch someone in the act, but to prevent it from happening in the first place. If you plan to use cameras to monitor a hired caregiver, be upfront about it when they’re hired. Honest caregivers usually won’t mind being recorded if they’re aware that it’s happening. Plus, this also protects them from false accusations. But someone could be justifiably angry if they found out later that you’ve been doing recording them secretly.